International flights require check-in at least 45 minutes prior to scheduled departure time. See International Travel. Domestic flights require check-in at least 30 minutes prior to scheduled departure time. Seats for passengers who have not checked in by flight closure time may be released. In order to maintain an on-schedule operation, aircraft may depart prior to scheduled departure time (after flight closure). For flights departing from un-staffed locations (i.e., floatplane docks in the San Juan Islands or British Columbia, excluding Victoria), passengers are required to be at our designated pick-up location 20 minutes prior to scheduled departure time to accommodate unforeseeable variations in flight time. Land plane passengers are limited to 50 lbs. (23kg) total baggage weight per person, regardless of the number of bags, plus one additional personal item (purse, briefcase, laptop, etc.) of up to 20lbs. (9kg) per person. No single item may exceed 50 lbs. (23kg). No single item may exceed 62 linear inches (157cm) (length + width + height); this equates to a standard large-size suitcase but is smaller than the largest “cruise-style” suitcases. No personal items may exceed 36 linear inches (91cm) (length + width + height). All baggage conforming to the baggage allowances specified above for each mode of service travels without additional charge. Due to limited baggage capacity in our small aircraft, we strongly encourage passengers to limit themselves to the baggage allowances specified above. Excess-baggage presented at check-in will be flown on a strictly standby basis for a fee of $1/lb. ($2.20/kg) above the allowance for the mode of service. This fee is assessed separately for outbound and return flights. “Standby” means that the excess-baggage flies only if capacity is available, and excess-baggage that is accommodated on outbound flights is not guaranteed to be accommodated on return flights. Guaranteed carriage of excess-baggage may be reserved in advance according to the fee structure in the table below by calling our Customer Service group at 866.435.9524. All excess-baggage fees listed above are inclusive of tax. One ‘Sunday Bag’ with a total weight of 25 lbs. (11kg) or less may be carried per passenger in addition to the standard baggage allowance on floatplane routes. 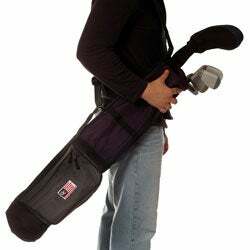 This is a lightweight nylon bag holding approximately 6 clubs. An advance booking must be made specifically for your Sunday bag on floatplane routes. A prepaid fee of $25 per passenger, per segment applies. This will be listed on your eTicket confirmation, once the advance booking is complete. Sunday Bags do not require advance booking on wheeled-aircraft routes provided the combined weight of the Sunday Bag and passenger baggage does not exceed 50 lbs. (23kg). We offer two fare classes: GoFare and Packages. GoFare is the default fare. Packages include extra items like hotels & activities. GoFare changes made more than (24) hours prior to flight departure are subject to any difference between the fare originally booked and the prevailing published fare for the new flight segment(s). Package changes made more than (72) hours prior to flight departure are subject to any difference between the package originally booked and the prevailing published fare for the new package. GoFare cancellations made more than (24) hours prior to flight departure, the value of cancelled flight segment(s) will remain available as flight credit for use within 18 months from the date it was first cancelled. Package cancellations made more than (10) days prior to flight departure, the value of the cancelled package will remain available as flight credit for use within 18 months from the date it was first cancelled. A change or cancellation of GoFares made less than (24) hours prior to flight departure will result in a full forfeiture of the fare. A change or cancellation of a Package made less than (72) hours prior to flight departure will result in a full forfeiture of the Package fare. All flight credits are fully transferable. Missing a flight – defined as failure for any reason to check in prior to flight closing – results in full forfeiture of the fare for the missed flight segment regardless of fare class (with the sole exception of government fare, which is fully refundable at any time). Passengers missing a flight may fly stand-by on the next available flight over the same route at no additional charge. Passengers affected by major-airline flight delays into Sea-Tac Airport are strongly encouraged to contact our Customer Service group at 866.435.9524 at first indication of a delay. Our Customer Service Agents are available to discuss contingency options. Cats and dogs are welcome aboard Kenmore Air flights. For the comfort and safety of our passengers, we maintain a limit of one pet per flight. The pet must be harmless, inoffensive, odorless, require no attention inflight, and remain in one location for the duration of the flight. All cats must travel in a small, soft sided, duffel-bag style carrier. Most dog kennels will not fit in our aircraft on our scheduled service flights, however, charter service may be an option. Please contact our Charter group at 866.359.2842 to discuss options. For passengers transiting through Sea-Tac Airport, kennel storage is available at Ken’s Baggage and Storage. Pet immunization records and a health certificate are required on international routes. Kenmore Air does not offer unaccompanied pet transport services. More information is available at the Department of Transportation’s Safe Travel website. Passengers violating Federal hazardous materials laws are subject to fines of up to $250,000 and/or imprisonment of up to five years. All passengers, baggage and cargo traveling on any Kenmore Air flight or ground shuttle or within the confines of any Kenmore Air facility are subject to search at the discretion of Kenmore Air. Kenmore Air has the right to refuse service to anyone for any reason. Kenmore Air will not share any personal or private customer information with any person or organization outside of Kenmore Air, except as required by US or Canadian law. What are the Lake Union Seaplane Advisory Buoys? The City of Seattle, with a permit from the Department of Natural Resources (DNR), installed a line of five buoys on 5.24.2018 in a north-south line in the center of the lake. These are to mark a seaplane advisory area for a trial period this summer. While this is a City of Seattle initiative we know a lot of you have questions and want to hear from us. Learn more.